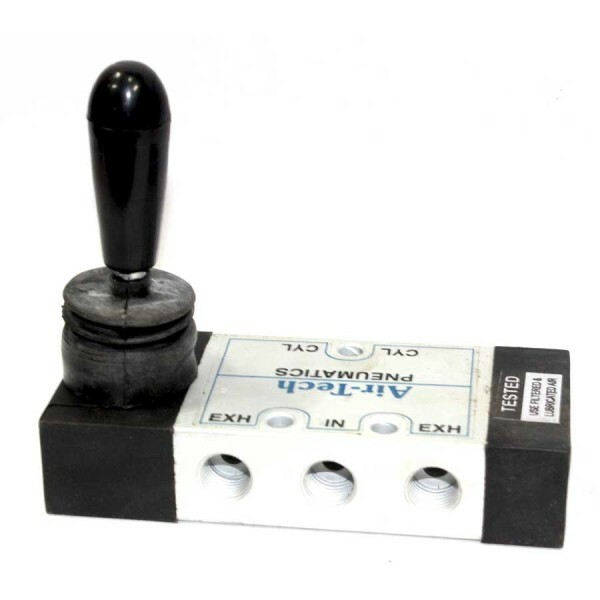 A 5/2 way directional valve from the name itself has 5 ports equally spaced and 2 flow positions. It can be used to isolate and simultaneously bypass a passage way for the fluid which for example should retract or extend a double-acting cylinder. There are variety of ways to have this valve actuated. A solenoid valve is commonly used, a lever can be manually twist or pinch to actuate the valve, an internal or external hydraulic or pneumatic pilot to move the shaft inside, sometimes with a spring return on the other end so it will go back to its original position when pressure is gone, or a combination of any of the mention above.